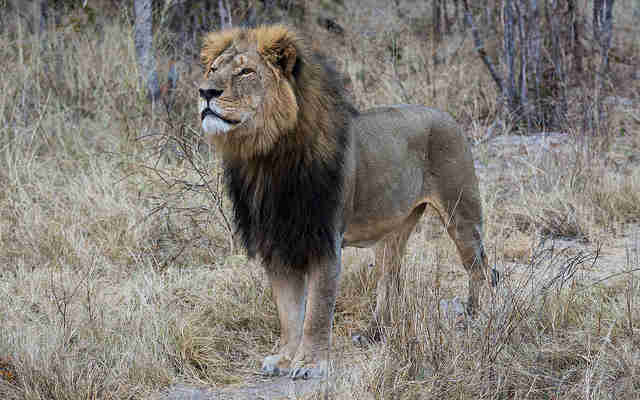 The death of Cecil earlier this year evoked outrage across the planet, with people up in arms over the death of one of Africa's favourite lions. The killer, a dentist from Minnesota, endured the wrath of many, but the real villains are those that do not make the front pages. Whether you are an animal enthusiast or not you will have probably seen the news regarding a couple of 'high profile' animal killings over the last few months. First we had Cecil, a cherished African lion shot dead by an American dentist on a hunting trip in Zimbabwe, then three months later a German hunter shot dead what some are calling the biggest elephant killed in Africa for 30 years. These events differed in some ways, for starters the killing of Cecil was illegal (he was collared and part of an academic study by Oxford University), while the death of the elephant was legal. However these events were also similar in some aspects too, both hunters were foreign tourists, both paid vast sums of money to take part in the hunt, and both incidents received a vast amount of coverage in the media. 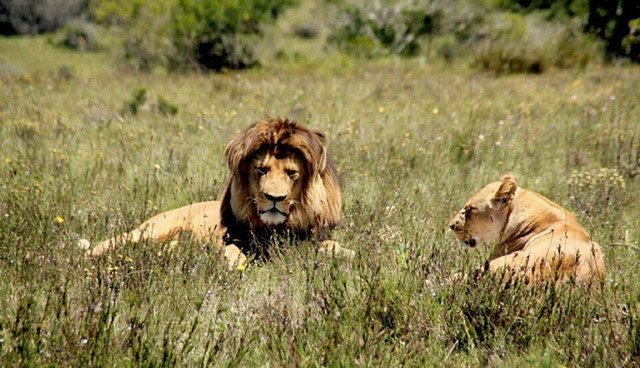 The media coverage is understandable and has brought up some interesting arguments both for and against trophy hunting. The man who helped arrange the elephant hunt claims that 70% of hunting fees generated by his organisation are funneled back into the local community in Zimbabwe which help it to prosper, and it has also been pointed out that the WWF supports hunting which is 'effectively regulated'. On the flip side are harrowing facts – for instance it has been estimated that up to 35,000 African elephants were killed last year, while the African lion population has dropped 42% in the last 21 years. Should we really be hunting animals which are heading towards extinction? The arguments for and against hunting make a good debate, but the issue is that facts like those above are not solely the result of trophy hunting by rich tourists. The real problem, which receives little media attention in comparison, is that of poaching - equipped with assault rifles, night-vision goggles and helicopters, the criminal organisations behind poaching are fit for a James Bond film. Over the last three-years over 100,000 elephants across Africa were killed for their ivory, the black rhino population is down by almost 98% since 1960, and there are only around 2,000 Grevy's zebra left, which are poached for their hide. These statistics do not include those animals which are not the target of poaching but are often caught in traps, such as the mountain gorilla, of which only 900 remain. It is clear that more of an effort should be made to prevent poaching, but the problem is that money talks, and poaching is big business. 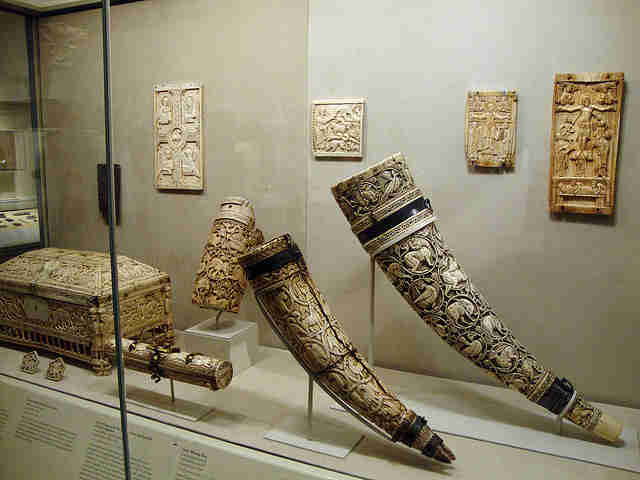 Elephant ivory trades at around £650 per pound and is carved into the likes of jewelry, utensils and religious figurines. Meanwhile rhino horn is even more valuable, worth an absurd £20,000 per pound, making it more expensive than gold, and plays a heavy role in traditional Chinese medicine, with people believing it can cure anything from hangovers to cancer. There is no evidence that rhino horn has any medicinal qualities, in fact Raj Amin of the Zoological Society of London says you would do just as well to chew your fingernails. The legal domestic ivory trade in China allows for an estimated 80% of international demand, and has seen the rise and fall of international criminals. 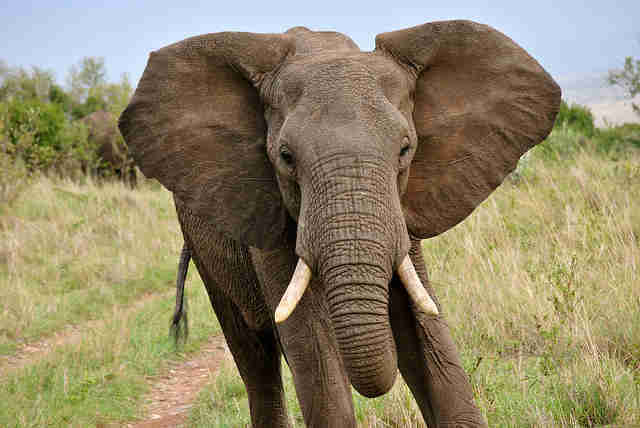 One of these, Yang Feng Glan, or 'the ivory queen', has recently been arrested and accused of smuggling 706 elephant tusks from Tanzania to the Far East, worth around £1.62 million. Thankfully China is making movements to finally ban the ivory trade, with some suggesting that it could be made illegal within the next year, which would no doubt do wonders to help curb the rampant poaching in Africa. The average person cannot lobby foreign governments to criminalise the ivory trade, nor can they gallivant around Africa, pitchforks raised, in an attempt to fight poachers off (although one of the founders of environmental group Earth Organisation, Lawrence Anthony, did persuade the notorious rebel outfit, the Lord's Resistance Army, to help protect the northern white rhino). However that does not mean that nothing can be done to help. Dr Paula Kahumbu, CEO of WildlifeDirect, notes that one of the best ways to deter poachers is to visit the game reserves and national parks. The more people in the parks, the more eyes there are, and poachers are much less likely to hunt animals in the company of those who loathe them. Furthermore, as mentioned before, money talks – with more people visiting safari parks there is more money to support ranger patrols and keep poachers away. If things continue the way they are then we will likely see the extinction of some of the world's greatest creatures, indeed in a recent speech Prince William noted that at the current rate the African elephant would be extinct by the time his daughter, Princess Charlotte, is 25. Here at Frontier this is something we are trying are hardest to prevent, and we have numerous projects across Africa which volunteers can join and help out at. The wildlife of Africa needs you now more than ever, so head over and make your presence felt.